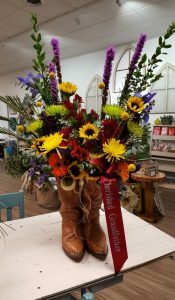 *Boots were given to us to design in. 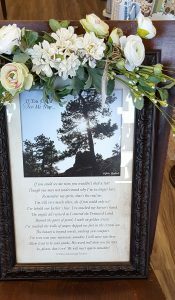 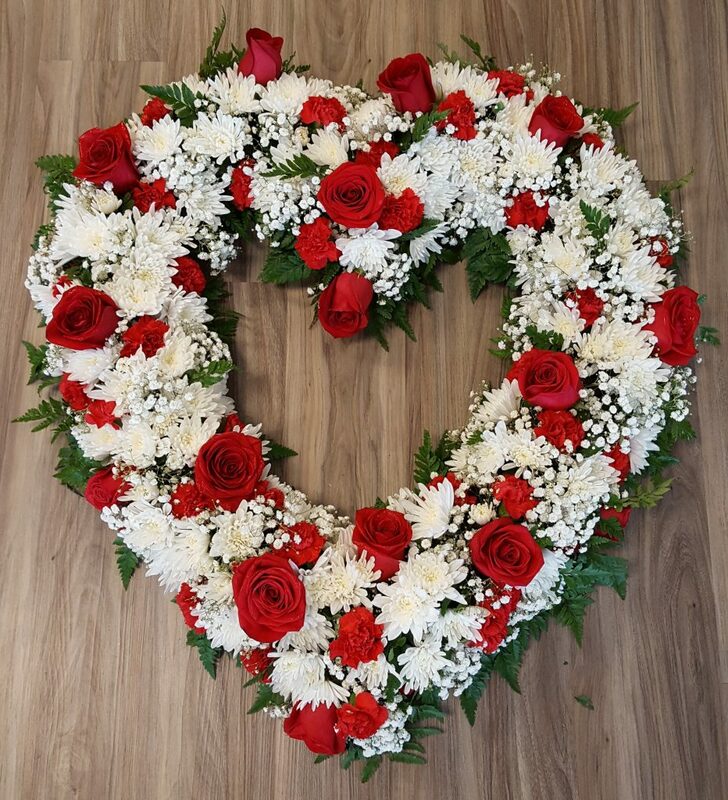 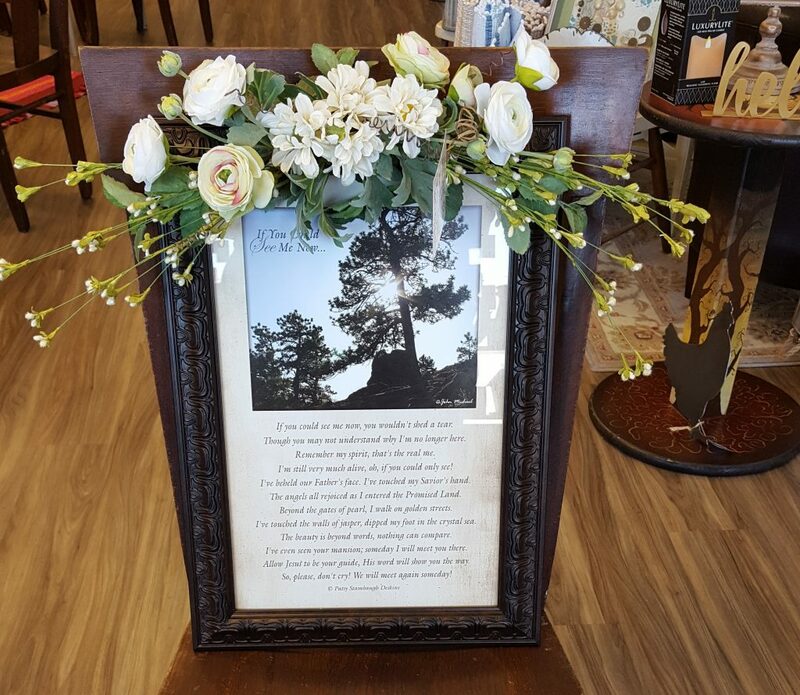 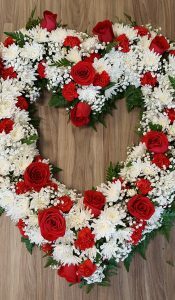 *Picture frame and silk floral was provided for us to design with. 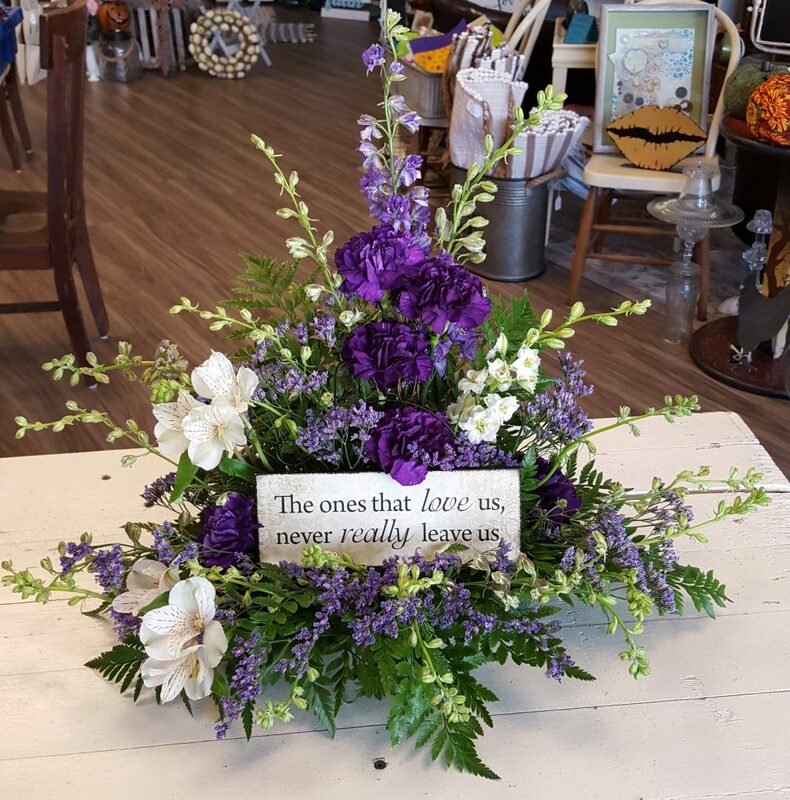 Prices, Containers, and Keepsakes may vary. 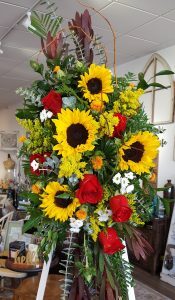 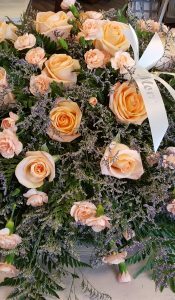 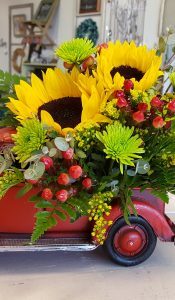 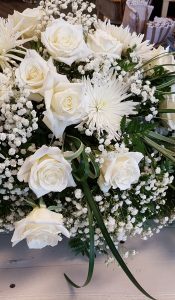 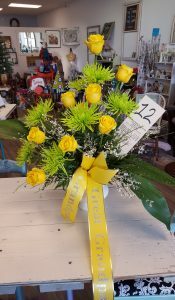 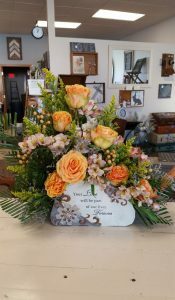 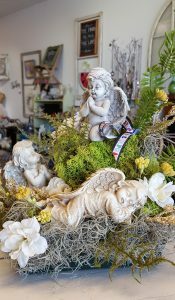 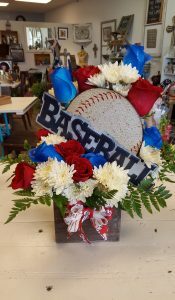 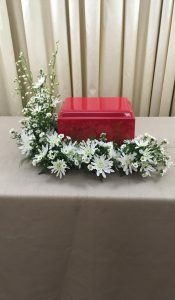 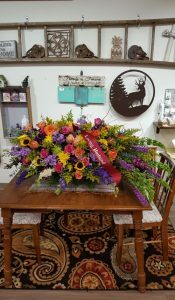 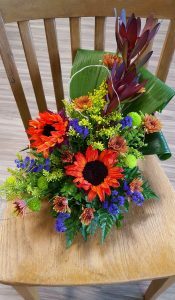 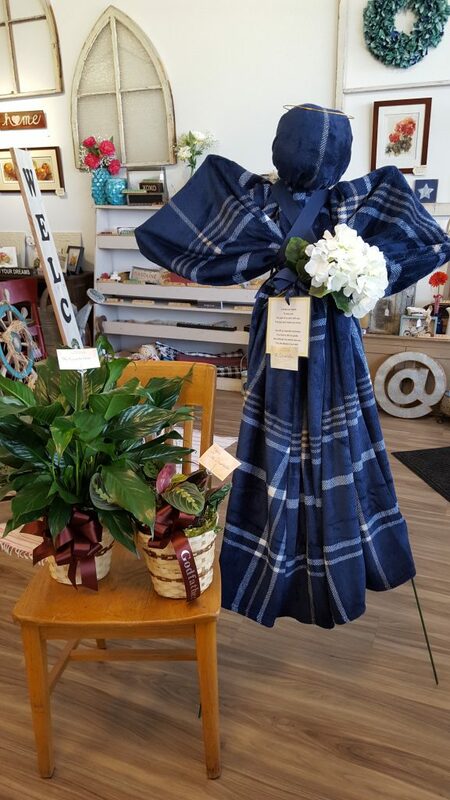 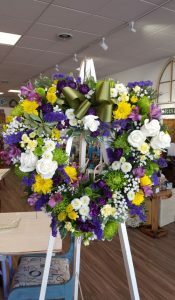 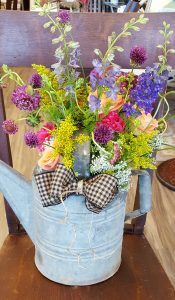 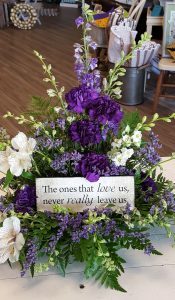 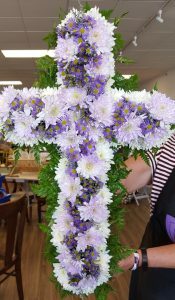 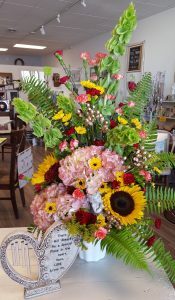 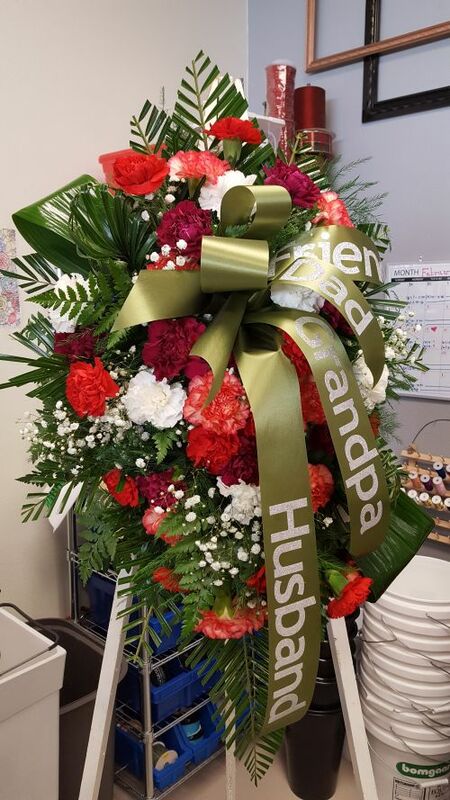 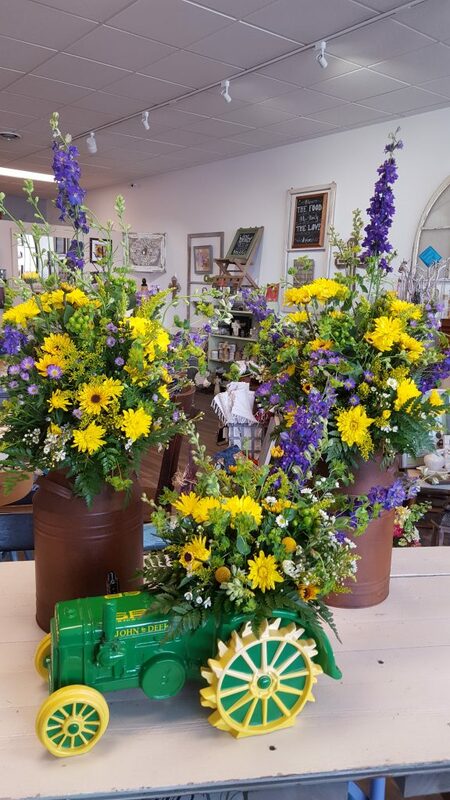 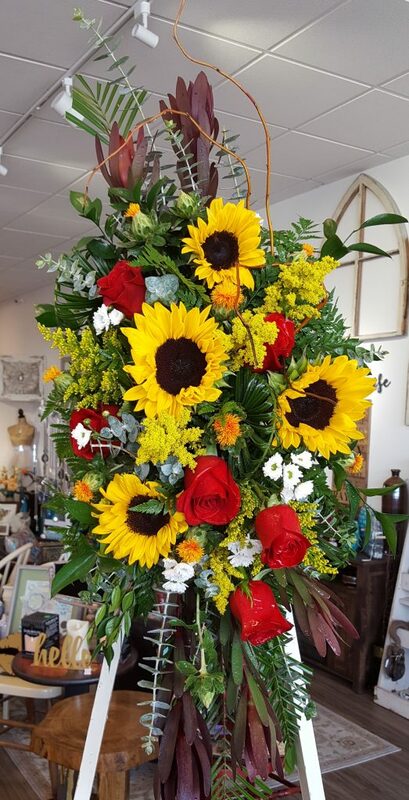 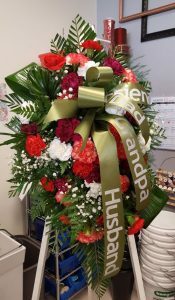 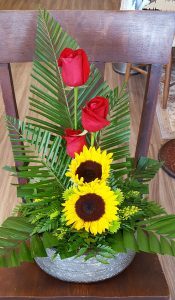 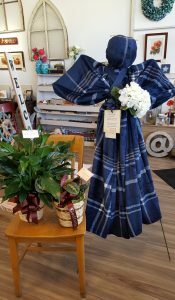 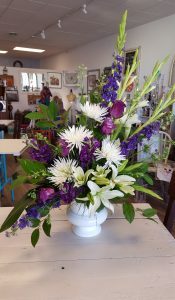 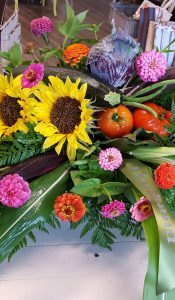 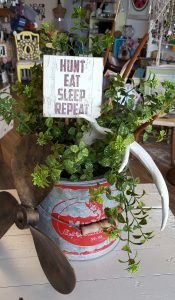 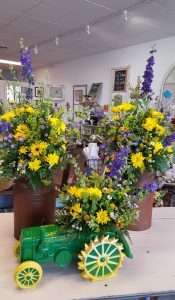 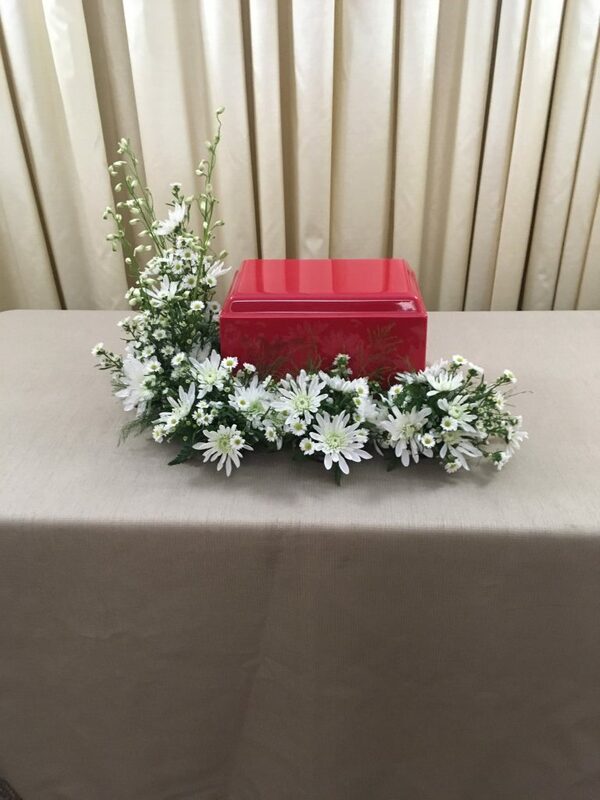 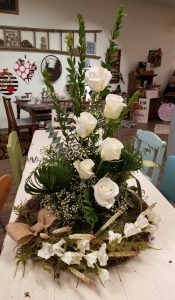 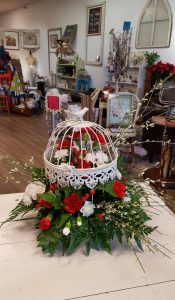 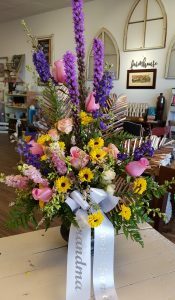 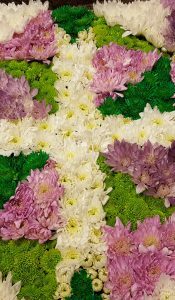 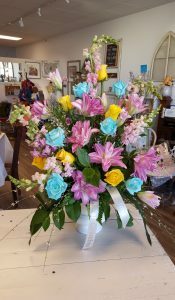 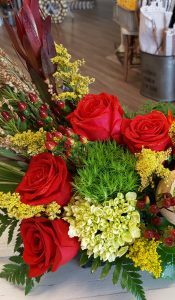 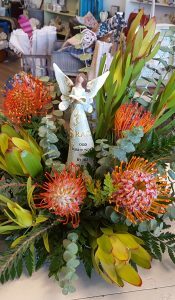 Tammy got the opportunity to go through a garden to make this casket spray, that is made out of floral and vegetables! 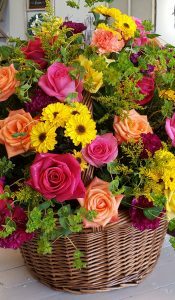 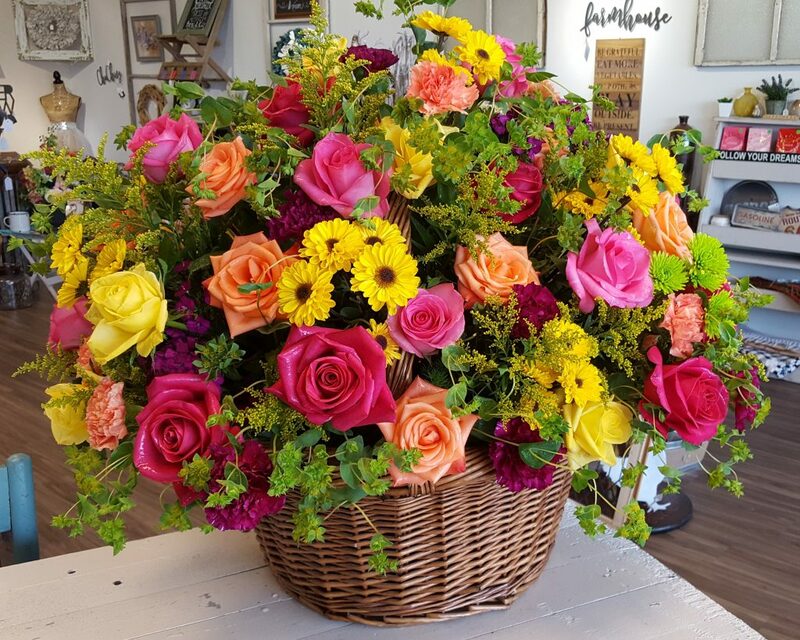 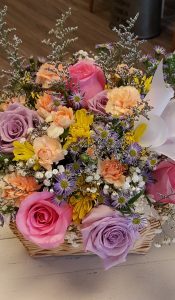 The basket was given to us to use for this arrangement.